What is Shareholder Conflict of Interest? Shareholder conflict of interest can be a complex issue, and one with which many directors struggle. It can be as simple as a public statement involving investments outside of the company. Or taking a stake in a company which competes with yours in a specific way — one you might not even be aware of. It is not uncommon for large shareholders to have different interests from those of minority shareholders in determining the future of a company. In the UK, a shareholder is not bound by strictures against conflict of interest. But directors who are shareholders – and the vast majority of executive directors are – must take careful account of their actions as shareholders, to ensure that they do not give rise to conflicts of interest in their work as directors. UK – What is Shareholder Conflict of Interest? Shareholder conflict of interest can be a complex issue, and one with which many directors struggle. It can be as simple as a public statement involving investments outside of the company. Or taking a stake in a company which competes with yours in a specific way — one you might not even be aware of. In the UK, a shareholder is not bound by strictures against conflict of interest. As someone who owns shares in a company, you may go to the general assembly of shareholders and vote in any way you choose – whether you have other interests that may have influenced your vote is irrelevant at this level. But directors who are shareholders – and the vast majority of executive directors are – must take careful account of their actions as shareholders, to ensure that they do not give rise to conflicts of interest in their work as directors. In addition, chairmen-CEOs who are majority shareholders in an organisation – this happens often in private companies – must carefully separate their personal interests as owners from their duties as directors as well as from their duties as managers – one can see how this might be difficult to do. This is why, in the UK, the Corporate Governance Code militates strongly for companies to split the CEO and chairman jobs. When, several years ago, the credit agency Experian – which is listed on the London Stock Exchange and so must comply with the Code (or explain why they do not) – appointed CEO Don Robert as chairman of the company, the UK Institute of Directors strongly objected: “As a listed company, Experian is expected to adhere to the UK Corporate Governance Code, which sets out best practice for boardroom leadership. One of its provisions is that a CEO should not go on to be a company chairman,” Institute corporate governance adviser Oliver Parry remarked, pointing to potential conflict-of-interest issues. With lots of board management software to choose from, here are the 5 most important questions to ask during your search. From a legal point of view, there are four tiers of conflict of interest, as a report from the IMD Global Board Centre in Lausanne, Switzerland, points out. Tiers I and II refer to board members with interests that conflict first with those of the company and then with those of stakeholders. Shareholder conflict of interest arises as a Tier-III conflict when the interests of shareholders are not appropriately balanced or harmonised. Shareholders appoint board members, usually outstanding individuals, based on their knowledge and skills and their ability to make good decisions. Once a board has been formed, its members have to face conflicts of interest between shareholders and the company, between different shareholder groups and within the same shareholder group. When a board’s core duty is to care for a particular set of shareholders, all rational and high-level decisions are geared to favour that particular group, and the concerns of other stakeholders may not be recognised. Board members have to address any conflicts responsibly and balance the interests of all individuals involved in a contemplative, proactive manner, the report says. Board members may never act in their own interests – that is the basis of the fiduciary relationship that directors accept on agreeing to serve. Board members also, in the UK, have a duty of care which means they must make decisions in the best interests of the company. But it is always possible for directors to promote the interests of a particular shareholder group which they see as aligned with those of the company. 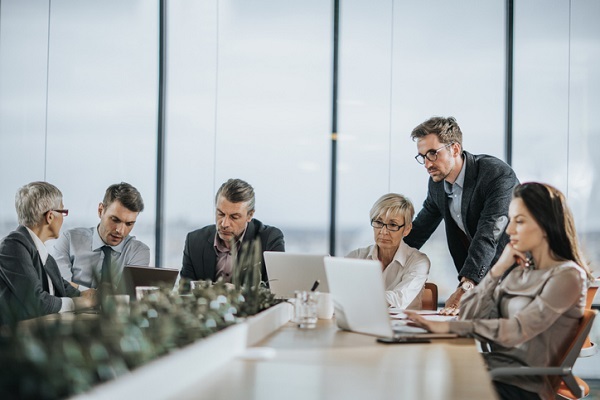 It is easy for one director to work with a specific shareholder group, and for another director to line up with a separate group of shareholders. This often leads to shareholder conflict of interest and disputes in the boardroom. It is up to directors to make wise decisions when shareholders are in conflict. If a board is composed of interested directors who remain loyal to their respective shareholders, then it is necessary for representatives to cooperate and to find the optimal coalition to address common interests. “Directors on boards must keep in mind the interests of weak or distant stakeholders to ensure their interests are not overlooked,” the report notes. Want to improve your board performance? Learn what the 7 most exceptional board practices are. It is not uncommon for large shareholders to have different interests from those of minority shareholders in determining the future of a company. Sometimes, a single shareholder has control of a company, and becomes a director. It is easy for this board member to influence the others, who often line up behind the major shareholder/director. Many important decisions, like those regarding investments, dividends, or mergers and acquisitions, can be made under the influence of the controlling shareholder in a way that is against the interests of minority ones. Shareholder conflict of interest can be dangerous for the future of the company. In 2015, automaker Volkswagen’s board was dominated by the founding families working in alliance with German labour unions. A dispute broke out between the founding families, and the conflict had dire effects on the company’s strategy. “The Volkswagen case shows that it is difficult for a board to optimise the interests of shareholders when they have conflicting interests. In practice, when most directors on boards are shareholders or stakeholder representatives, infighting becomes a common issue. Minority shareholders are vulnerable when the controlling owner attempts to squeeze out the other shareholders, for example by buying, selling or leasing assets at non-market prices, as a way to shift corporate resources to the large owner,” the report comments. Tier-III conflicts of interest can be managed with careful decision-making that goes beyond all the different shareholder groups. Boards must work to disregard these factions – the presence of a number of independent directors supports this process. Also supporting this process is the effective detection and management of conflict of interest by following best-practice procedures. A high-quality board portal can help to implement the right actions, providing a wealth of information on the subject and computerised surveys for board members so that such conflict can be found at the start. Diligent’s Conflict of Interest module helps boards to overcome the challenge of discovering and managing conflicts of interest and puts the recommended best practices into action. The Diligent Conflict of Interest module enables directors to respond securely to questionnaires while empowering board administrators to keep sensitive information safe and secure. Unlike vulnerable email systems, the Diligent Conflict of Interest module is a closed environment backed with high-security standards. The Diligent Conflict of Interest forms eliminates the clutter of email and paper-based questionnaire packs. Users can easily adopt them with their intuitive interface that is familiar, innovative and simple to use. Realising directors, general counsels and corporate secretaries are often extremely busy and on the go, Diligent designed its questionnaire module with mobility and accessibility in mind. The module works on laptops and on other mobile devices. The module is part of Diligent’s Governance Cloud ecosystem of integrated digitised tools that helps busy executives and directors deliver fully informed oversight on compliance, cybersecurity, risk management and other enterprise-wide governance matters. Diligent’s Governance Cloud supports timely preparation and defensible decisions — from M&A due diligence to regulation, litigation and expansion strategies. Diligent Board Assessment tool and Diligent’s Conflict of Interest module enable regular assessments of culture, policies, leadership and processes.